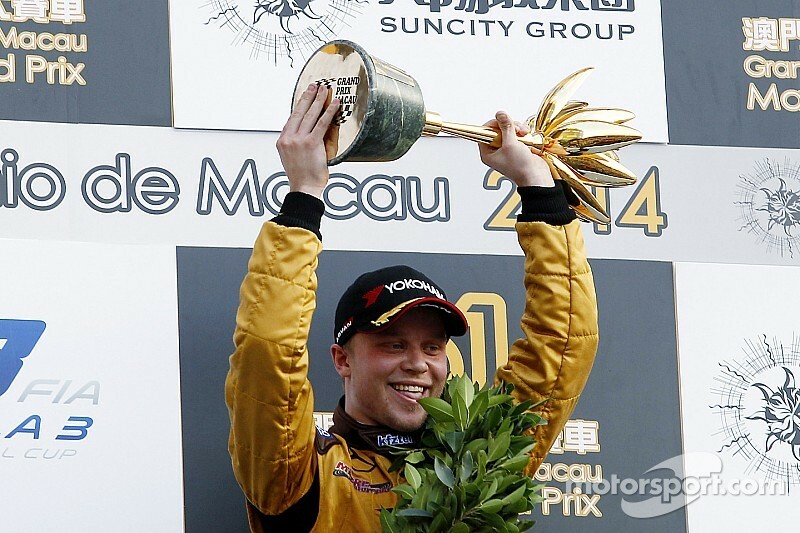 Felix Rosenqvist became the first man to win the big three F3 races when he took the Macau Grand Prix to add to the Masters of Formula Three and the Pau Grand Prix. At Macau this afternoon Felix Rosenqvist (Kashbet.com with Mücke Motorsport) became the first man to win the big three F3 races when he took the Macau Grand Prix to add to the Masters of Formula Three and the Pau Grand Prix. He came home ahead of Lucas Auer (kfzteile24 Mücke Motorsport), who battled the top rookie Nick Cassidy (ThreeBond with T-Sport) to the flag for 2nd. The initial attempt at starting the race came to grief before it was more than two corners old. 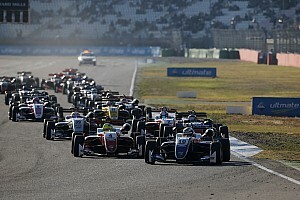 Initially Stefano Coletti (Eurointernational) bounced off the barriers on the run to Lisboa, while Auer took to the escape road in his attempts to claim an early lead. In the meantime, Tom Blomqvist (Jagonya Ayam with Carlin) and Esteban Ocon (Prema Powerteam) had both got ahead of pole man Rosenqvist but then tangled at Lisboa. Ocon’s steering broke, but the pair continued to Sao Francisco where Ocon was unable to get round, and landed in the wall, taking Blomqvist with him. I’ve never won the European championship but to win the big ones (Pau, Zandvoort and Macau) is very special. Ocon was sticking out across the track, and as the rest of the pack arrived absolute chaos ensued. Rosenqvist and Auer squeezed through safely but others were not so lucky. Jordan King (Carlin) braked and left his team-mate Yu Kanamaru nowhere to go except up. The Japanese went over the top of King, leaving tyre marks on the bodywork, and ended up on top of the wall, just shy of the marshals’ post. 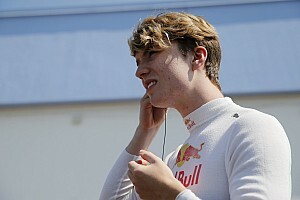 And then everyone else piled in, with William Buller (Signature) and Max Verstappen (Van Amersfoort) joining the casualty list, along with local hero Andy Chang (Team West-Tec F3) and Hongwei “Martin” Cao (Fortec Motorsport). Richard “Spike” Goddard (ThreeBond with T-Sport) was also involved in the accident. In addition Markus Pommer (Motopark) had a front wheel hanging off, and Antonio Fuoco (Prema Powerteam) seemed to have damage too. With the track completely blocked now, there was no choice but to red flag the race, round up the survivors and try again. There followed a long period of desperate repair work as the teams tried to effect running repairs in order to enable their drivers to race. At 16:10, 70 minutes later, the race finally restarted over 13 laps but without Ocon, Blomqvist, Cao, Goddard and Kanamaru. Fuoco opted for the pitlane after the team worked on his car right up till the last possible minute. Buller and Verstappen were also back to fight another day but this time no one was taking any chances. The start was given behind the Safety car, which seemed wise, and that was where they stayed for two laps. I think the first time I braked so hard I damaged the brake pedals. When the race finally went live Rosenqvist made no mistakes and was off into the distance before Auer could make his plans. His plan in fact ended up gifting Cassidy with 2nd, when he outbraked himself in a moment of over enthusiasm at Lisboa and ended up 3rd. On the same lap Colletti snatched 6th from King and Felix Serralles (Team West-Tec F3), while Dan Wells (Toda) passed Chang for 15th and Verstappen got the drop on Buller, which should have come as no surprise to anyone. Shortly after, King went missing altogether, while Serralles limped to the pits for a new rear wing. Meanwhile, back in the pack Verstappen was on the move, cutting through the pack like a knife through butter, first slotting into 12th and then closing on Pommer for 11th. He was soon past the German, and after Tatiana Calderon (Mücke Motorsport) for a top ten place. In fact he was so fast that he soon had the fastest lap of the race and only the fact that he was running out of laps looked likely to stop him. At the front Rosenqvist was still pushing on, but behind him Auer was now all over Cassidy for 2nd, the Kiwi rookie having to work very hard to keep the Austrian at bay. Eventually Cassidy would run out of luck, clipping the wall with the rear of his car. Thereafter it started to feel a bit strange, and three laps from the end Auer powered through at Lisboa, losing and then regaining the place in a classic Macau move. Cassidy opted not to challenge him again, worried about the presence not far back of Roberto Merhi (Double R Racing), the Spaniard always a threat round here. Cassidy settled in for 3rd leaving Auer to claim the second podium place. While Rosenqvist came home to finally win this race, Verstappen was still ruthlessly overtaking, first disposing of his team mate Gustavo Menezes, then accounting for Kenta Yamashita (Tom’s), blasting past the Japanese before they even got to Lisboa. It begged the question what would have happened had he not crashed out of the qualifying race. 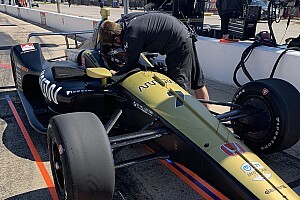 His final victim was Santino Ferrucci (Fortec Motorsport), a move that put him 7th at the flag. The last few laps also saw a tense battle between Nicholas Latifi (Prema Powerteam) and Merhi over 4th, Merhi managing to keep the Canadian behind him right the way to the finish, the 5th place man just 0.214 seconds back. 4th went to Merhi, from Latifi, Verstappen, Ferrucci, Yamashita and Menezes. 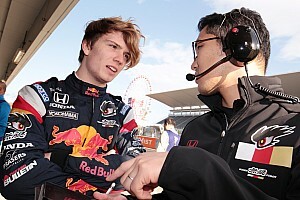 Pommer was 11th from the recovering Antonio Giovinazzi (Jagonya Ayam with Carlin), Calderon, Buller, Sean Gelael (Jagonya Ayam with Carlin), Alex Palou (Fortec Motorsports), Dan Wells (Toda Racing), Mitsunori Takaboshi (B-Max Racing Team), Chang, Sam MacLeod (Tom’s) and Serralles. 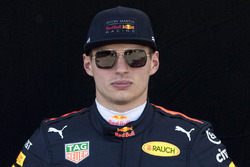 Fastest lap went to Max Verstappen.